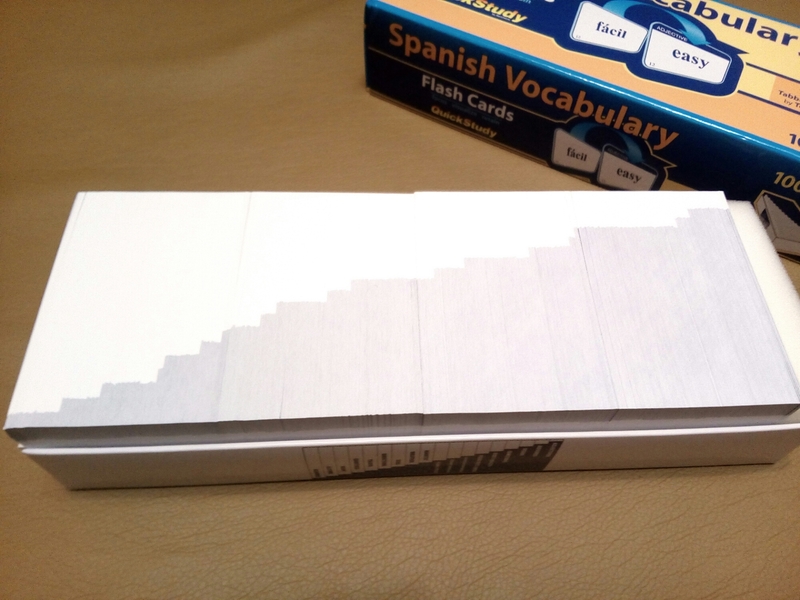 I was looking for the flash cards with standard Spanish phrases, which I could review every day. 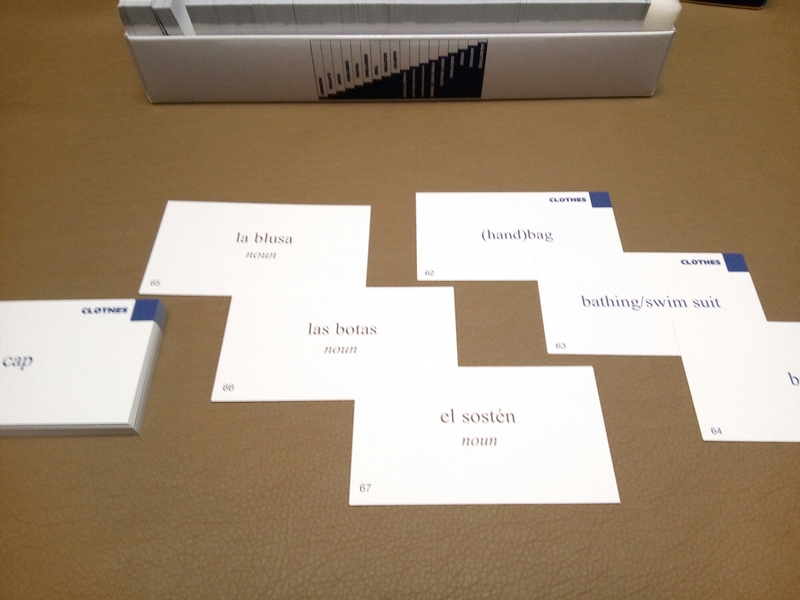 On the amazon I found “QuickStudy Spanish Phrases Flash Cards” set. The price of this set is about $15, so I decided to look for some photos and reviews before the purchase. I did not succeed in my searchings. And I decided to write review about set by myself. Hope this will be helpfull for others. 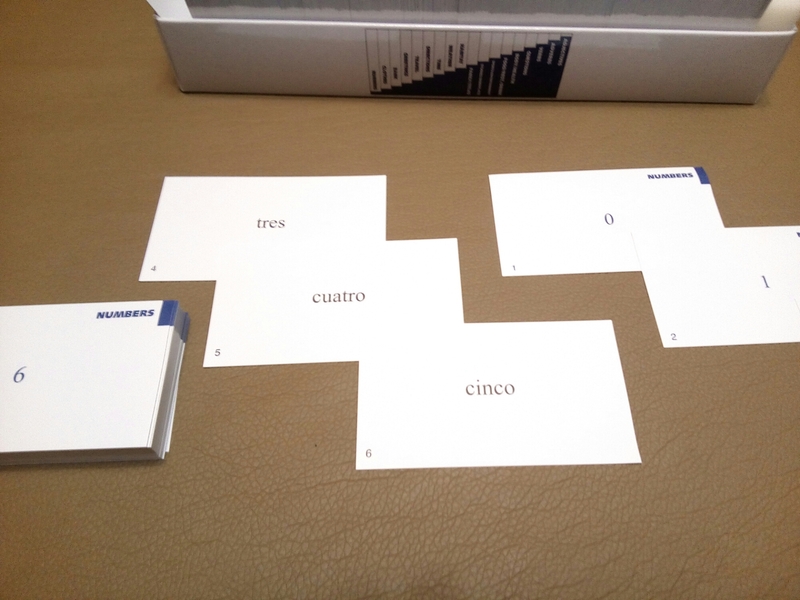 About “QuickStudy Spanish Phrases Flash Cards” I’m going to write in the one of my next posts. 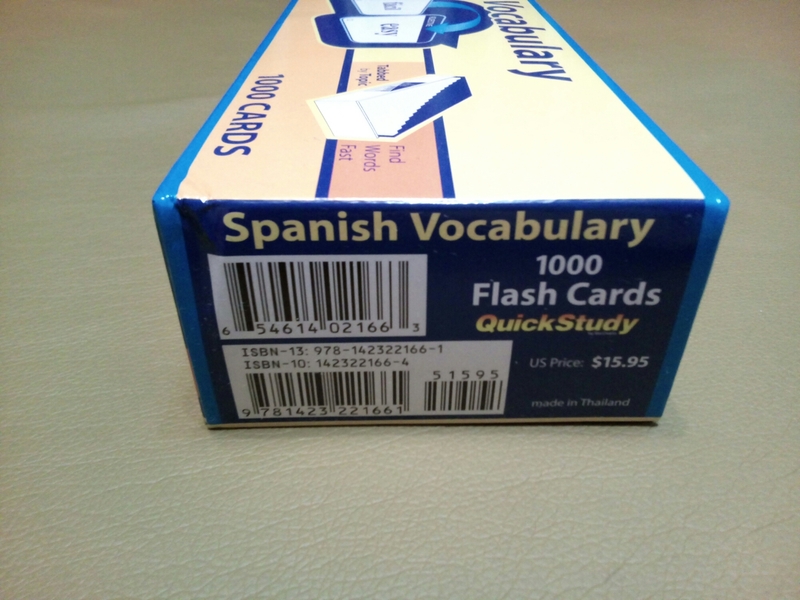 My current article is about “QuickStudy Spanish Vocabulary Flash Cards” set, as it logically to suppose that we start our language learning from words and then go to phrases. Weight of the box is about a kilo (1000 cards!). 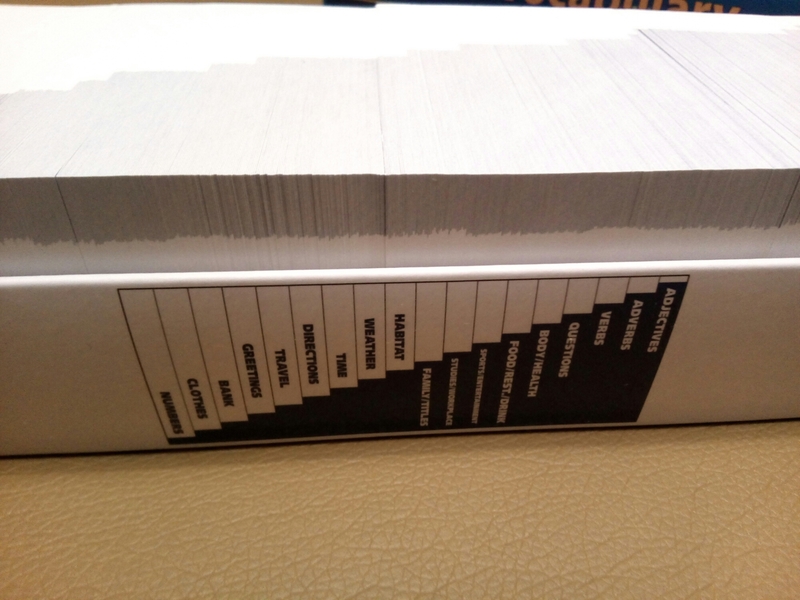 All set is usefully tabbed by topics and each card has its own number. This helps to find only the words you need to study and find them fast. All words are categorized to match Spanish courses. There is very useful guide to find categories fast on the box’s side. On the one side of each card in the top right corner there is indicator and name of the category; in the bottom left corner – number of the card, and English translation of the word in the middle of the card. On the other side – Spanish word and number of the card.